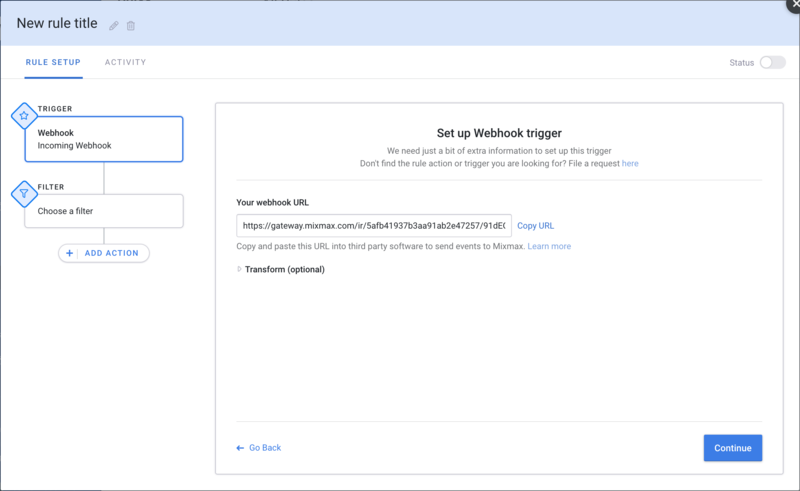 Incoming Webhooks are a simple way to send data to Mixmax in real-time. They make use of normal HTTP requests with a JSON payload. Open the Rules section in Mixmax (or click here). 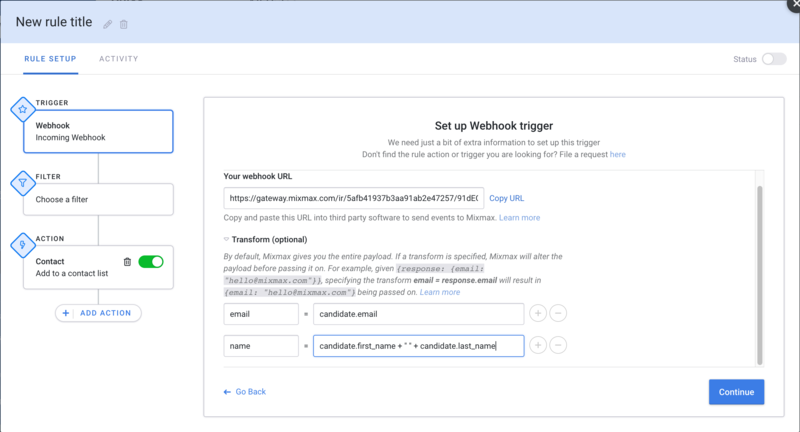 Next, we'll use curl, a simple, ubiquitous tool for sending HTTP requests on the command line, to test sending events to Mixmax. Paste the following into your command line (or a curl utility tool of your choice), replacing the URL with the url from above. Check the contact list that you selected under Then. It should now have "John Doe" in it. Learn more about transforms here. Send us an email at support@mixmax.com if you're having trouble. Also, if you think you need something more advanced than what is offered here, consider using the Mixmax API.